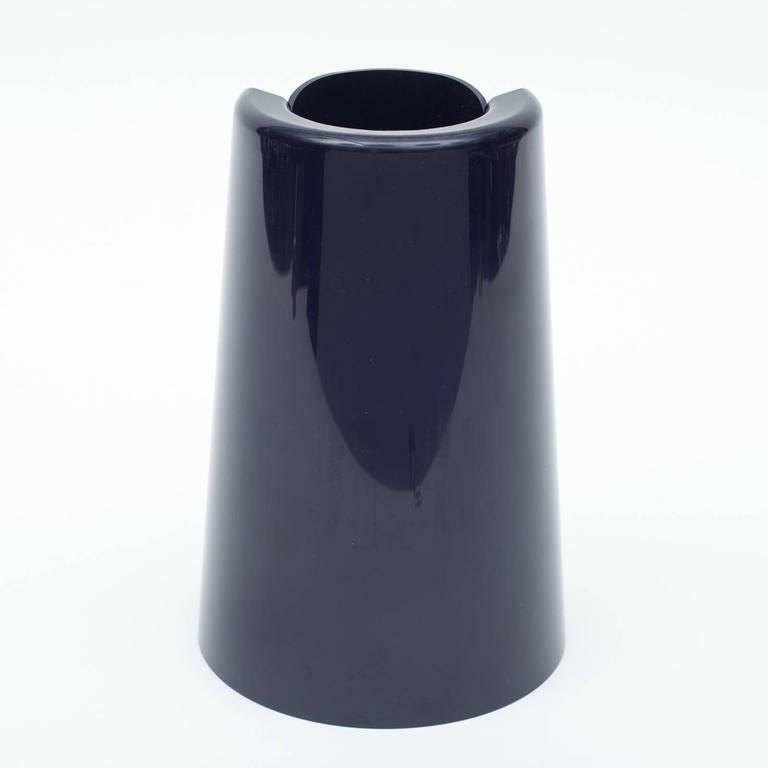 Designed by Enzo Mari in the 1960s this Pago Pago vase is black plastic and can be used standing on either end. Marked on the inside bottom of the vase. H 12 in. x W 8 in. x D 6 in.